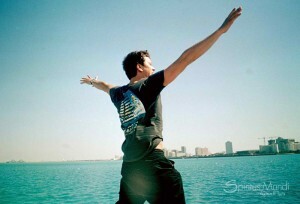 Earlier this week the Indie Travel Manifesto, which had twenty four declarations about independent travel, was posted. One that stood out to me was Slow Down and Enjoy an Experience. After reading them, a particularly intriguing article got me thinking. If we simply slow down a little, it is truly amazing what we could notice that goes on around us. One example deemed a “social experiment” by The Washington post, staged for a violinist to play intricate classical music for 45 minutes during morning rush hour at a Washington D.C. train station. With cameras rolling and reporters scattered amongst commuters to see how many people would respond to the music, his first attention amazingly came from children. Now for the twist; the violinist (Joshua Bell a Grammy-Award winner) was striking out some of the most complicated tunes on a 17th century violin standing near a trash can. Out of the thousand or so people who passed by, many did not even acknowledge or notice his presence as he played. The masses paused, instead, to plug cash into the nearby lotto machine. Granted, not everyone is interested in classical music. I wouldn’t have recognized him on the spot. I would, however, have slowed down to listen guaranteed! In fact, one time while in front of the Royal Palace in Stockholm, I spontaneous dropped my pack to dance to guitar tunes along a snowy street. Music is rooted in every culture and plays a significant role not only within a society but also within ourselves. For you Grateful Dead fans out there; Oliver Sacks wrote an essay called The Last Hippie about a man, who after having brain surgery to remove a tumor, could only recall memories while listening to “Dead” music. What about you? Have you taken the time to slow down and enjoy some music in your travels? I always try to make a point to enjoy music. It is good for the soul ! Love the pictures ! Slowing down is a constant struggle for me, but you’re right, if we can manage to change our pace we see a whole new world of sorts. I remember being compelled to stop mid-way along the Charles Bridge in Prague as a unique blend of Jazz and Folk pulled my attention from my wandering thoughts and towards the moment(s) I was missing. Great read Lindsey! I don’t do this nearly enough, at home for sure — but even at times when I’m on the road. Thanks for the reminder, Lindsey! 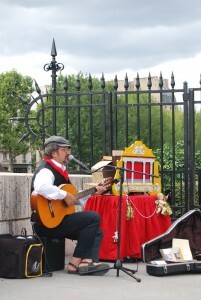 @Coco Marie, Paris is wonderful for street music! 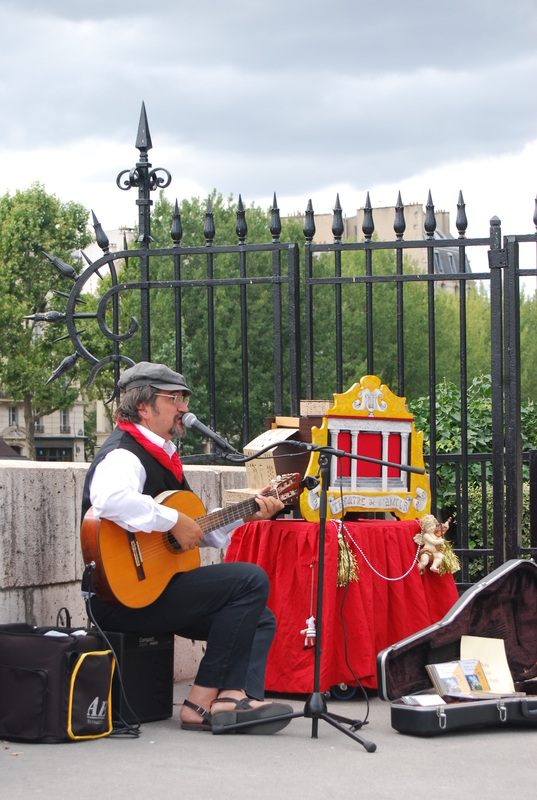 Actually, the man playing the guitar in the above photo is Hugues Bouchindomme; whom I bought a CD from several summers ago when he was playing near Notre Dame. Often, I will bring back music I heard on a trip, and it will transport me back to that place. For example, I first heard the Mali band ‘Tinariwen’ in a tent in the town of Zagora, Morocco, on the edge of the Sahara. I can hear Cler Achel and am back in Morocco.